Rodrigo Flores Rubio was born in Mexico City in 1988. He graduated as an architect from the Instituto Tecnológico de Monterrey, State of Mexico Campus, in 2012. He complemented his Architecture studies by attending specialized courses in Architectural Engineering during his international exchange at SungKyunKwan University, Seoul, South Korea in 2011, and is currently undertaking a Diploma in Effective Project Management at the Universidad Panamericana in Mexico City. Based on the experience he has gained in his professional career at major Mexican architecture firms in the area of architectural design, he joined Sordo Madaleno Arquitectos in January 2014 as Project Manager. He has been involved in projects on different scales with strong conceptual bases, such as the Competition for the New Mexico City International Airport, the PA-MX pavilion, housing in Bayshore Miami, and the conceptualization of the Park Hyatt in Mexico City and the flagship store for Massimo Dutti on Presidente Masaryk Avenue. His effective leadership, continuous drive for teamwork and high-quality, on-time results were key to recognizing Rodrigo as a new Project Leader at Sordo Madaleno Arquitectos in 2016. In this position he has directed projects on different scales and with a range of architectural programs including residential, hotel and mixed-use developments. These projects include the Punto Mar Residential Complex in Acapulco, Torre D in Bosques de Santa Fe, and a Boutique Hotel in Tulum, Quintana Roo. 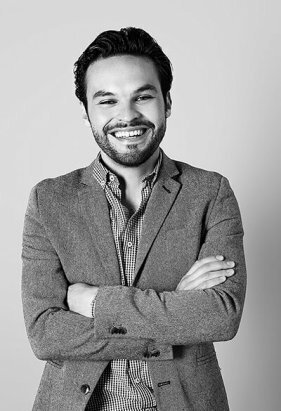 He began his professional career with an internship at JSa Arquitectura, where he worked from 2011-2012, and prior to joining SMA held a position as Architect at Rojkind Arquitectos between 2012 and 2013. His vision as an architect is to work with projects that seek a connection between the building and its socio-cultural, political, economic and physical context.